How many sleeping pillows should be use on a bed? Home / FAQ / How many pillows should I have on my bed? King size pillows are not as popular of a choice, as many people believe them to be too long and difficult to manipulate while sleeping. If you do prefer a king-size pillow, then two is the suggested number as they will fit nicely across a king-sized bed. Three standard pillows will also fill out the width of a king-size bed. When seeking out a look that consists of two rows of pillows, six standard pillows works on a king bed. For an even a fuller look on a Queen bed, try using three Euro Shams and position them so that they slightly overlap one another. When opting for three Euro shams, many people select a center one that is a different color or fabric. Three Euro Shams will sit side by side on a King or California King bed. Four Euro Shams will provide a fuller look and will slightly overlap one another. Both standard and king shams provide a bed with a very nice decorative row of pillows. The majority of shams are also okay to sleep on. A full or queen bed looks best with two standard shams while a king bed typically features two king shams. 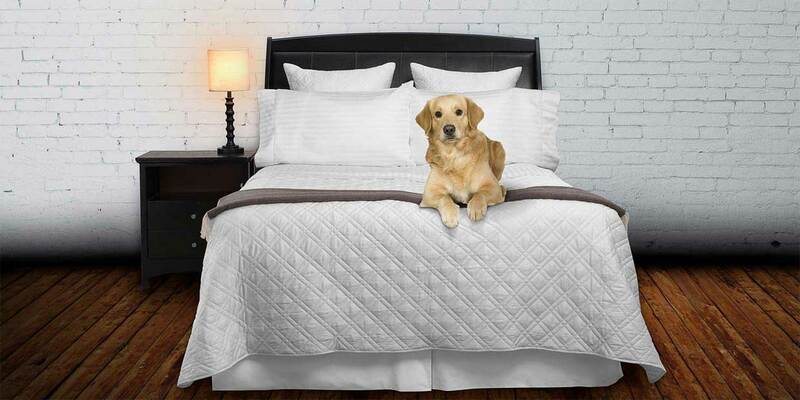 Whatever your bedding preference, Vero Linens has you covered. We provide a comprehensive selection of feather sleeping pillows, Italian duvet covers, pillow shams, and much more. Visit our online showroom that features high quality luxury linens and fine bed linens at very affordable prices. To shop for our wonderful generously filled sleeping and decorative filler pillows, click on the below shop here button. Watch the below video were we demonstrate how to make a perfect looking bed.